Hi Everyone! Hope you're having a great summer. Mine is filled with driving my daughter around and going to swim meets, but it's been fun. And I've been reading some great books. First, here's the winner of the Freedom to Read Blog Hop. The winner is Kristina Vallaste who chose INSOMNIA. Today I’m excited to have debut author Kelly (K.A.) Barson here to share about her contemporary story, 45 POUNDS, that was released on July 11, 2013. Kelly is a Michigan SCBWI member like me and I'm excited to help celebrate her debut. I really connected with Ann, the main character who needs to lose 45 pounds before her aunt’s wedding from the first chapter. I was overweight as a kid, though not as much as Ann, and could empathize with a lot of Ann’s feelings. And Kelly did a fantastic job bringing all the characters in this story to life very vividly. I felt like I really got to know them all. This was a really fast read for me and I read half of it while waiting for my case to be called in Court and at lunch one day. It reminded me how much I enjoy contemporary stories and that I need to read them more often. Hi Kelly. Happy Debut! Thanks so much for joining us. Thanks, Natalie! It’s great to be here. I was an early reader and always loved stories. I don’t remember ever not writing, but I didn’t know how to go from hobbyist to professional until a friend, Vicky Lorencen, introduced me to SCBWI and Highlights Foundation workshops. They led me down the path to publication—from magazine articles, through several not-quite-there manuscripts, to Vermont College of Fine Arts, and around the submission process. 2. I know Vicky too. It’s awesome that you’re friends with her and that she got you on your path to publication. Ann is such a likeable, sympathetic character. And I loved that she wasn’t the commonly portrayed hot, thin beauty. Share a bit about how you developed her as a character and any challenges you faced. In my reading, I’d never encountered a character that battled weight the same way I did. I wanted to write about a girl who knew how to diet, but didn’t know how to combat emotional eating. I also wanted to have a girl that didn’t fit in her family or her clothes or her world. However, I also wanted her “fitting in,” or lack thereof, to be more in her own mind than her family or classmates really not accepting her. 3. I think one of the reasons I could so relate to Ann is that you focused on the emotional struggle. And I think a lot of teenage girls will be able to relate to her as well. Did you plot this out or were you a panster? What did you learn from that process? I’ve revised this book so many times that I’m not really sure. I’m sure I started as a pantster. I used to just start writing to see where it took me. That was fun, but more often than not, I wrote myself into a corner. By the final version of 45 POUNDS and for anything newer, I plot out the big plot points using a loose version of the snowflake method. 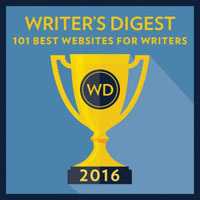 (http://www.advancedfictionwriting.com/articles/snowflake-method/) Then I “pants” my way from point to point, always with the ending in mind. Just knowing the high points and not the details allows me more latitude for humor and character development, things I can’t plan ahead.4. Thanks for the link. I definitely just do a loose version of the snowflake method too. 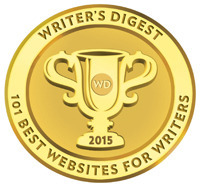 What advice do you have for the rest of us who want to write a contemporary novel? What are some of the pitfalls to avoid? The best advice is to read—not only contemporary, but everything. Pay attention to what makes those books good, or not-so-good. One pitfall is to try to write a blockbuster or to write to trends. Instead, write the story of your heart. 5. That’s great advice to write what your heart is into. Your agent is Sara Crowe. 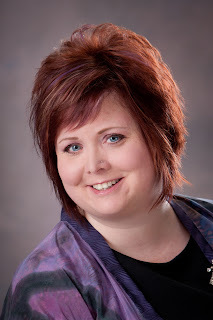 Share about how she became your agent and your road to publication. It was pretty simple, really. I did my homework and made a list of top agents I thought would be a good fit. 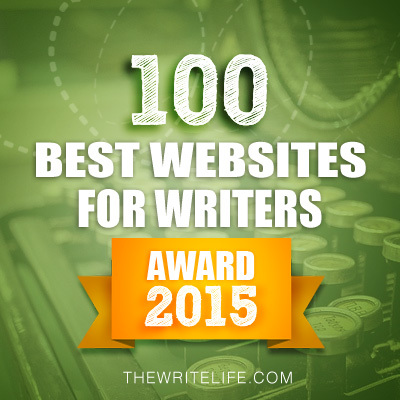 (Your website is one the very best for doing this.) Then I queried her. She requested the full and offered representation a few weeks later. She submitted, followed up, and made the sale. 6. You make it sound so easy! I’m glad Literary Rambles helped in the querying process. Awesome that Sara became your agent a few weeks after requesting a full manuscript. What’s surprised you about the year leading up to your book’s publication? I knew there’d be a lot of waiting, but I was surprised how many little celebrations there were along the way. Making deadlines, the cover reveal, blurbs, ARCs, reviews, receiving the first hardcover, and notes from readers are all perfect excuses for constant celebratory toasts. 7. That’s a great idea to celebrate those little milestones and if some of the celebrations are public, you can use them to create excitement for your book release. What are some of the essential things you recommend an author do after they sign a contract for their book to be published to develop their writer platform? 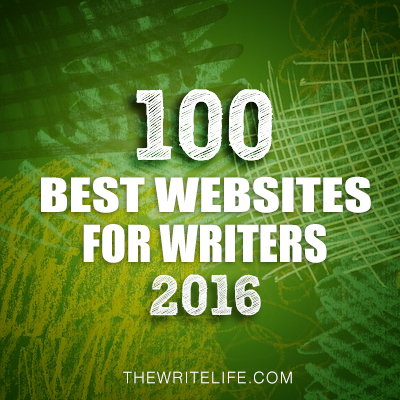 First, if not already done, a website and/or blog, a Facebook author page, and a Twitter feed are musts. (If you’re dead set against social media, at least create a website.) 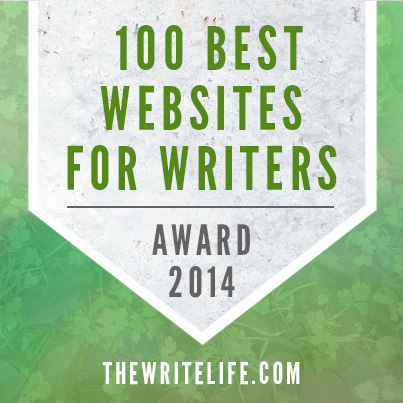 Readers, bloggers, and others will want to keep up on what’s going on with you and your books. It’s also easier and more succinct to put a web address on bookmarks, postcards, and other swag than info that may need to be updated. I also highly recommend that debut authors find promo groups. Not only do they help navigate the craziness of the year(s) leading up to release, but they also connect you with other author friends who are in the same place you are. 8. I’ve heard a lot of authors recommend joining a debut promo group. I’d definitely want to do that. I read that you’re going to the American Library Association (ALA) conference in Chicago. How did that come about? What’s your advice for finding out about these opportunities and arranging to attend them? The Class of 2k13, one of the promo groups I’m part of, set that up. Again, never underestimate the awesomeness of groups working together for a common goal. It’s hard to do it on your own and still write. But when we divide up the work and brainstorm ideas together, we’re actually more successful. 9. Cool that your debut group helped arrange for you to go to ALA. ALA seems like a great way to connect with librarians, which is such an important way to spread the word about your book. What are you working on now? I’m working on my next book, which is also with Viking. It’s about a high school cosmetology student who thinks she has her life planned out and under control. When everything falls apart, she has to learn to let go, listen, and appreciate her real friends. 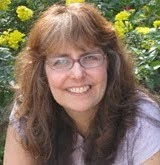 Watch my website, Twitter feed, or Facebook author page for title, cover, and release updates. Thanks for sharing all your advice, Kelly. You can find Kelly at www.kabarson.com (website), www.facebook.com/kabarson.author (Facebook), @kabarson (Twitter), http://www.goodreads.com/author/show/5555591.K_A_Barson (Goodreads). Thank you, Natalie, not only for this interview, but for all that you and Casey do for writers. You’re welcome, Kelly. So glad you appreciate it. 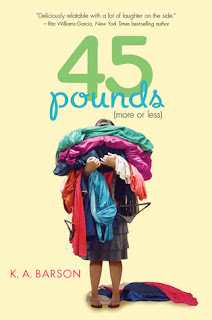 Kelly and her publisher, Viking, have generously offered an ARC of 45 POUNDS for a giveaway. To enter, all you need to do is be a follower (just click the follow button if you’re not a follower) and leave a comment by midnight on July 27th. I’ll announce the winner on July 29th. Tomorrow I have a fantastic Tuesday tip on characters by Cindy Cipriano and an ARC giveaway of her middle grade fantasy, THE CIRCLE. Next Monday, I have an ASK THE EXPERT interview with Dianne Salerni’s daughter and an ARC giveaway of THE 5TH WAVE. This is an amazing dystopian/sci-fi story with never a dull moment. I can’t wait to share this fantastic book and interview with you. I couldn't believe how much Diane's daughter and I have in common reading-wise. On Wednesday, I’m giving away a copy of SHIP OUT OF LUCK by Neal Shusterman. It’s an adventure story about Antsy, a middle grader, who goes on a cruise with his family to relax. Only it doesn’t work out that way. It’s gotten great reviews that also say it’s funny. I’m hoping you or one of your middle graders would enjoy this. I know my daughter and her friends all loved Neal Shusterman’s books when she was in middle school. That’s how I learned about him. The following Monday, I have an interview with debut author Corina Vacco and an ARC giveaway of MY CHEMICAL MOUNTAIN, a YA story about living in a small town that’s a toxic waste grounds. I found it fascinating contemplating what it would be like living somewhere like that where swimming in a really toxic stream is no big deal and I enjoyed that the story was told from a male POV. Wednesday that week I’m interviewing debut author Lisa Amowitz and giving away an ARC of BREAKING GLASS, a mystery about a guy who is receiving messages from the dead. It got great reviews on Goodreads so I’m excited to share it with you. And Lisa is also a talented cover designer who designed Lisa Gail Green’s gorgeous cover for DJINN: THE BINDING STONE. We’ll be talking about cover designs as well. I just heard about this book today (via Goodreads) and then read this interview! Awesome!! Sounds like a book and character I could really enjoy! (I bought the book so don't put me in the giveaway) Thanks for sharing. This sounds like a really good story. Congratulations on being published! And good luck with your next book. Thank you, Cait, S.P., and Beth! Thanks for the interview, Natalie! And happy birthday!! Sounds like a wonderful story that many people of varied ages will enjoy. Nice! Love this book, and I got to hang out with her at ALA. Wonderful gal! Really enjoyed this interview. Looks like a terrific read. I wish this book had been around when I was a teen. I could have used it! Great interview, and thanks for the giveaway! Lovely interview, Natalie. I love her advise to,read widely, and her road to pub reads like a textbook,how-to. I love hearing stories that prove the query process really works. And I agree that Casey's agent spotlights are a brilliant resource for,researching agents! Hello to Kelly from a fellow member of the Crowe's Nest (Sara's name for her clients)! Congratulations with your release and all the best to you! Thanks for the great interview, and congratulations Kelly on your baby's early success! Love everything from the sound of Ann to the look of the cover! This sounds like such a great read~ thanks for the interview and giveaway! Sounds like a book and character I would love to know. This book sounds fantastic! I like the notion of someone who already knows how to diet but has to deal with being an emotional eater. Yay for milestones along the way to publications..those small celebrations really ate important. Thanks for the giveaway! I love the pitch...the numbers in her life. That's the way my brain works too. I'm totally sucked in. I would love to win an ARC! Kelly already knows how excited I am about her book, and I've already ordered it, so no need to enter me in the giveaway. Natalie - you didn't mention - is it your birthday today?! Enjoy! Congrats, Kelly! Promo groups are really helpful, and that's awesome yours will be at ALA's conference (always wanted to go to that conference). Kelly does make the whole process sound easy! I love the look of this book and the theme--I don't usually read YA but I think I'll check it out! Kelley, the emotional baggage in a person's mind...very true and especially so for a teen. I like that as a premise. The help of a group who band together for the good of all members. It's worth it's weight in gold. I have one and I love them! I've had this book on my "salivating to read" list for quite a while. Sounds so good. Fun interview. Kelley seems super nice, fun, and knowledgeable. This sounds like a really good story! I've been wanting to read this one for ages. Love the concept, love the cover. Thanks for the fantastic giveaway. Congratulations, Ann! This is the kind of book I would have loved to read as a teen. That's ladies for the great interview. I always love to hear authors' publishing stories. Thank you, everyone, for such lovely comments. *waves* to Crowe's Nester Dianne, 2k13er Lydia, and SCBWI-Michiganders Buffy and Kristin! I just love the cover of this book. It's funny. It's clever. It's perfect for the story. i imagine every girl is going oh my gosh! it's so us in so many ways! Maybe I should clarify a bit. I had queried many agents over the years--from 2004-2008--without a single bite. When I went to Vermont College in 2009, I decided not to submit at all. (It was a welcome two-year reprieve from the emotional roller coaster that is querying and waiting.) At the end of my final residency at VCFA I sent out queries to two agents--both agents of friends, so I had "connections"--and was rejected at the query. That knocked the wind out of my sails, so I didn't query for another six months! Then I looked at my query. It was awful. It didn't mention the title of my manuscript or why it was different from other books out there. Any agent would have rejected it. I also discovered that I hadn't done my homework very well. While those other agents are wonderful for my friends, at least one of them wouldn't have been a good fit for me. ("Connections" aren't nearly as important as the agent connecting with the work.) So I tweaked my query, did more homework, and queried my top choice--Sara. Then, yes, it did happen quickly. Maybe I should have given more backstory in the interview, but my point is that I did it the old-fashioned way--by simply querying. :) That's why this site is such a treasure. So much information is in one handy place. So, if you're in the process of looking for an agent, don't give up. The right fit is out there. Fabulous interview with a rock star author! Can't wait to see what's next. Thanks for the giveaway. I've seen this book around and I think it looks really good. I'm really interested in reading it! Great interview Natalie! And congrats to Kelly on her debut! This sounds like a great read :-) Cool to read about Kelly's writing process and her publishing journey. Kelly, I have read the first few chapters of your book. What a voice! I love Ann. I feel I know her already. Ann's weight issue is a topic close to my heart. I hope I win a signed copy of 45 Pounds to reread and share with my teen daughters. I really have to read this book. Thanks for the review (I hadn't heard of it) and the wonderful interview. What a great interview with Kelly. This book sounds not only insightful but very entertaining. I would love to read it. Congrats on your first publication, Kelly!